Nothing says “Merry Christmas” like Eggnog. It is so easy to grab a half gallon at the store that you forget just how wonderful homemade eggnog is. I promise you that once you make this at home, it will become a part of your Christmas tradition. In the bowl of an electric mixer fitted with a whisk attachment, whip the egg yolks and sugar until pale and fluffy (about five minutes). In a heavy bottom saucepan heat the milk until just under a boil. Add one cup of the milk to the egg mixture, being sure to whisk continually to temper the eggs. Now, add in the rest of the milk. Pour the eggnog into a pitcher or container and set it in an ice bath for one hour. When the eggnog has cooled completely, add in the heavy cream and the Grand Marnier. Place the eggnog in the refrigerator until you are ready to serve. 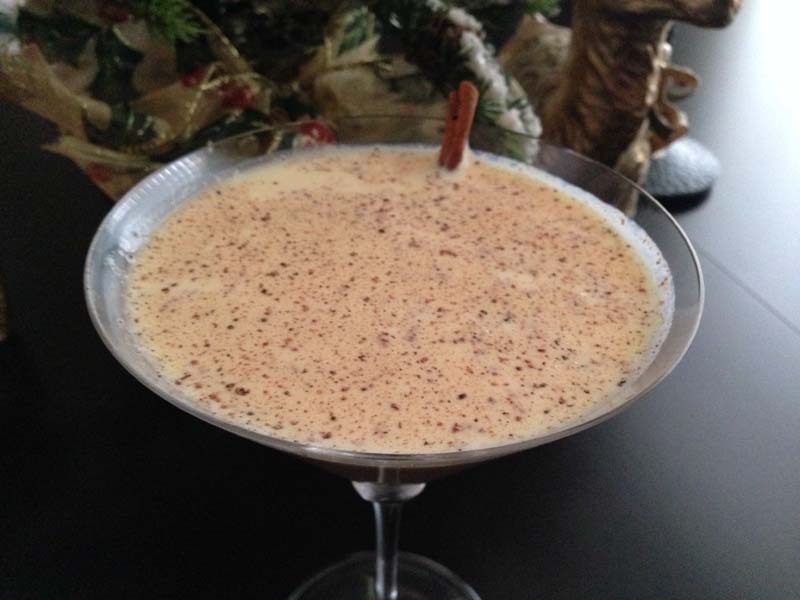 The Elegant Occasion Note: This eggnog is equally delicious with spiced rum!